How can 1 liter of water burst a 50-liter glass barrel? 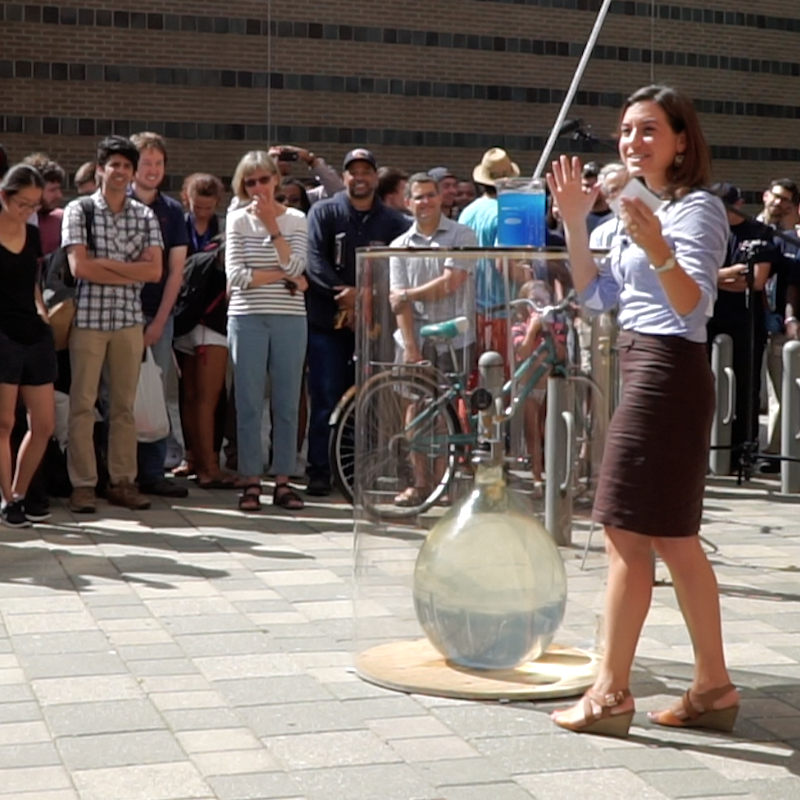 Watch this dramatic and counterintuitive demonstration of Pascal's laws of hydrostatic pressure to find out! The pressure in a fluid depends only on the height of the fluid, not on its total weight. So when 1 liter of water is poured into a tall thin tube, it can create enough pressure to shatter the glass barrel. This is the first time this demonstration was successfully done and caught on camera, including super slow motion!